Construction law attorneys in Florida and several other states are keeping a close eye on several cases in federal court in Louisiana, where a judge recently awarded $164,000 for the costs of removing Chinese drywall from a home and replacing the wiring, plumbing and appliances that had been ruined by the defective product. This decision sent a clear signal to the manufacturers, suppliers and builders that the courts are going to impose stringent requirements for the remediation of the homes that have been affected. This ruling comes weeks after a $2.6-million judgment for seven Virginia families – more than $370,000 per homeowner – against a different drywall manufacturer from China that refused to participate in the trial. It appears that KPT, the Germany-based company that manufactured the drywall in China that was involved in the Louisiana case, is now considering the possibilities of appealing the ruling and attempting to settle with some of the builders that used its defective drywall. For the builders, settlement offers from this or other manufacturers could be enticing, as the funds would be paid upfront before the remediation work is performed. However, it appears that the repairs for each affected home are going to be costly, and relocation costs for the residents will also add significant sums. 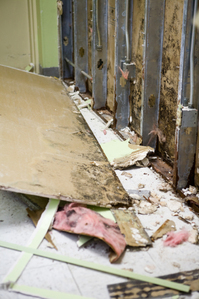 Some construction industry experts have estimated that as many as 100,000 U.S. homes have the defective Chinese drywall, the majority of which are located in Florida and Louisiana. As the legal process continues to unfold with new trials starting in June, construction industry lawyers in Florida from our law firm and others will work with their clients to help them to address their legal issues and responsibilities stemming from their use of this inferior and potentially dangerous product.